Despite the Mumbai heat, I don’t miss an opportunity to wear a suit. Especially to a first-time work meeting with people. However, things are different if the agenda of a meeting is problem solving or ideating. Then, I not just prefer, but also strongly recommend a casual dress code. Think about the times you get the best ideas. It could be about work, about hobbies, about fitness, recipes, or even new businesses. I bet if you were to look back on your life, two locations might be the luckiest places to have a light bulb moment. Starting with the second first, those were probably when you were in bed, or in the shower (or even in the loo for that matter). In bed, good chances are you’re either dressed light, or half naked. Then there is the shower. Remember frantically looking around for someplace and means of writing your idea, because you’re sure you’d forget if you waited till you finished. Like the hundreds of ideas before. Seemingly priceless ones that unwittingly got swept with the flowing water. So, next time you’re sitting to brainstorm some great ideas for your business or at work. No, don’t stroll in in the buff. But strongly consider dressing casually. You and your teammates would be more at ease. You’d be able to think of ideas that might have otherwise remained elusive. Especially because you were busy adjusting your trousers around the thighs, or feeling the choking feeling of the tie around your neck. Is it why most innovative companies are never stuck up about things like dress code? Seems obviously so! So remember. Need ideas? Dress down! Tesla has really transformed the automobile industry, cracking the existing fuel industry and automotive heavyweight nexus. And this is despite the first versions of electric motor driven vehicles dating back to 1828! That’s when Hungarian Ányos Jedlik invented a type of electric motor and a model car to power it with. The first known electric car, powered by galvanic cells, was built by Scottish inventor Robert Davidson in 1837. The world, at least a few parts of it, have come a long way since. The total number of electric vehicles in the world, crossed 2 million units a few months ago! 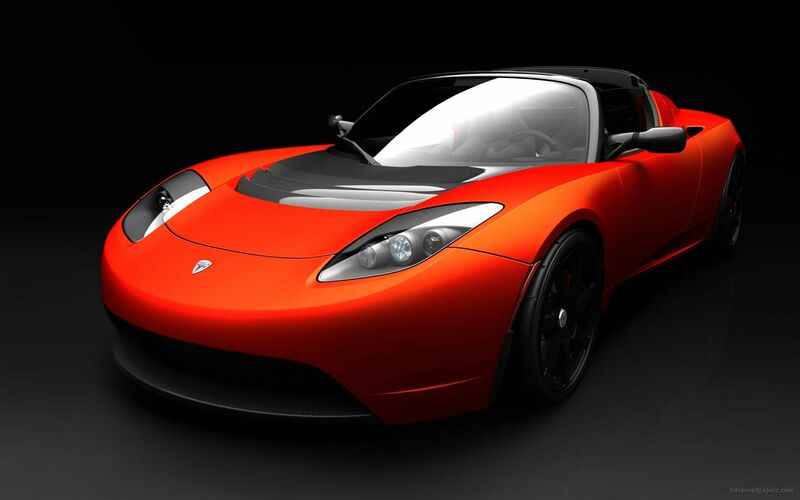 Tesla is arguably the most popular electric car in the world today. And yet, even with the slightly more affordable Model 3, which is a few weeks behind on its delivery dates, these cars are expected to take about 30-40 minutes to charge completely (on 220-volt supercharger charging stations). And while that’s significantly down from the 9.5 odd hours the Model S takes to charge. While running costs will probably come down significantly, average charging times are still quite high. At least compared to non-busy fueling times in the day at good ol’ petrol bunks. And given our need for everything to work in the shortest time possible. Same need that ready-to-eat packaged meals, fast charging mobile tech and granola bars aim at satisfying. Surely designers and engineers at Tesla Motors and at other companies are wondering how reduce recharging times. Given the interesting constraints, and that electric cars and their ecosystems continue to be built the way they are, I realized that it needed a fresh look, perhaps with a design thinking mindset, in an attempt to solve it. I believe one way to dramatically reduce charging times, is to differently design the cars’ battery packs and charging stations themselves. And also the model around which the battery packs fit into the bigger picture. I could not find an appropriate email id on the Tesla Motors website to send this idea to. And so I tweeted it to Elon Musk. Here’s a simple overview that I shared via my tweet. What are your thoughts on solving this problem, and on my idea? Can you think of a better one, or improve on this one? Update : In Nov. 2017, Honda claimed that by the year 2022, their electric cars will charge in 15 minutes. It obviously sounds impressive. However, a good benchmark for them and other manufacturers, would be mobile phone charging times. Some of those are down to giving 15 hours of juice with 15-20 minutes. That’s the kind of ballpark human patience will expect in years to come. Are auto manufacturers (pun warning!) gearing up for that? Look forward to your views. And if you enjoyed reading, consider following/subscribing to my blog (top right of the page). You can also connect with me on LinkedIn and on Twitter. Life has made a lot of things extremely easy to start. Even the seemingly most impossible of tasks. The knowledge and resources available to us increase our confidence multi-fold, and daunting initiatives don’t look so big anymore. So yes, starting anything is damn easy. What’s the tough part? The toughest bit of it all, is to continue. But sure you already knew that, right? There will come many an instance in your life, where a group of suddenly charged and enthusiastic people including you, will come together and set upon a journey, a bold initiative to do something life-changing, to create something unique and far-reaching. And shortly after starting, you will realize the uphill climb seems inversely proportional to the enthusiasm you all started out with. Whenever such an idea or plan is in the offing, before you start, sit back, and make sure to factor in the decrease in enthusiasm going forth, and the increase in the slope; then build that into your plan. If things still look doable, jump right in. Else, shelving it right then will save you a ton of time, effort and money too. Of course, this isn’t to discourage any budding initiatives before they have begun. Sure learning from others mistakes comes highly recommended by the oldies. And nothing like forgetting all warnings and making a bunch of them yourself. After all, the best of things around us, initially started out with completely different ideas, intentions and purposes in mind. And there is a lot of learning that also comes from starting, even if they end in failure. But given the limited time we are all given, while failing often and fast is recommended, it is also never too foolish to choose possible future mistakes wisely, and well before you’ve made them. I’m not exactly on top of the latest microwave oven features. Don’t think I even know most of the old ones. But if this feature doesn’t already exist, it would be great to have. I’m assuming this is how it works with most models, if not all. At home, if I keep a mug of tea in for a minute, when the turntable stops spinning, the mug is in the exact position I left it. Ready to be picked up. However, at different time settings, chances are, the mug’s facing another way when done. And then I need to hold the hot side and spin it around. Or drag it forward on the turntable before being able to hold it by the handle. Would be great if microwave ovens returned your plate, tray or mug to the original position on completion, irrespective of exact heating time. Perfect for easy and safe retrieval. And it should be easy from a programming point of view as well. And far more useful from a user point of view. Most of us have used escalators at malls, in office buildings and at airports. And we have surely seen that nervous person standing at one end of it, caught in a mental conflict of whether to step on it or not. While some of us have been mildly amused by that person, their fear is, in fact, more than justified. The web is filled with horrific accidents involving escalators. I just saw this one a short while earlier. Apart from being really tragic, it serves as a strong reminder to parents, to get their heads out of their phones and out of distracting conversations when accompanied by young kids. Given the obvious risks associated with escalators, what if malls and other buildings with escalators installed a barricade at the two ends, right in front of the handrails? Just something that doesn’t move easily, and is about ~3.5 feet high. Something shaped like cricket shin pads perhaps? While it won’t reduce risks due to collapsing of linked steps or landing sections, or wandering kids going up or down the escalator, it will prevent accidents due to handrails themselves. Back in college, I was once hanging out with friends at a mall, when one of them, while talking to us and walking backwards near an escalator. He continued talking while unknowingly leaning back onto the escalator’s handrail at the top. Before we could even realize what was happening, the conveyor and handrail had managed to pick up my friend, and he was backwards, on his way down, atop the handrail. Thankfully we managed to pull him off at the top. Obviously toddlers are not the only ones at risk with the handrails. Friction between rubber handrails and a person’s body or clothes creates considerable grip. And conveyors are powerful enough to lift even an overweight adult. We users really need to be careful while on or around escalators. And it is high time manufacturers started thinking of ways to make escalators safer.